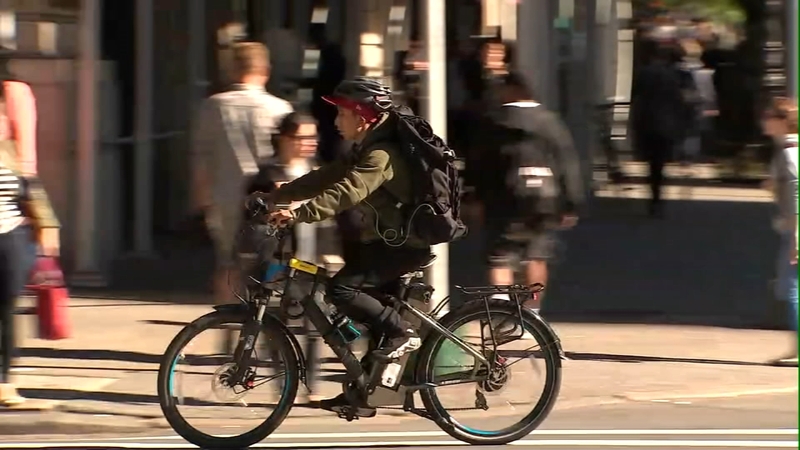 NEW YORK (WABC) -- Cycling advocacy groups are now pushing back on a citywide crackdown of electric bicycles. The e-bikes, which reach speeds of up to 20 miles per hour, are legal to own and sell but illegal to ride on New York City streets over safety concerns. Cyclists can face up to a $500 fine. Starting in January, businesses with employees that use the bikes can also be fined. Now, advocacy groups are challenging the city to show data proving the e-bikes pose any more danger than other vehicles.